Madjid Bougherra and co. landed in Ouagadougou today. The Fennec Foxes were welcomed by dirt roads and 75% humidity. 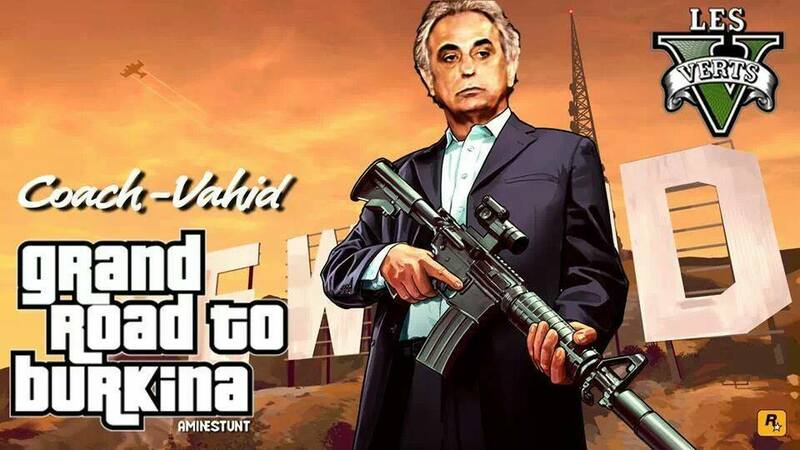 As the environment has been uninviting to his delegation, Vahid Halilhodzic has been to the Burkinabé journalists. He stipulated a media black-out for all foreign press as pressure, paranoia, and mind games set in. Paul Put then returned the favour and hundreds of reporters were left with naught to report except for official statements from official websites. Secrecy might be beneficial for the Belgian as his preparations have not been trouble-free. Seven of his most familiar starting eleven did not make it to Ouagadougou until Thursday morning, among them Jonathan Pitroipa. The atmosphere in Burkina Faso has been relatively limp. Only 200 supporters came out to the team’s open training session and box offices have not, by any means, been overrun despite the cheap prices (one ticket costs 500 Francs CFA, the equivalent of a euro). This fixture may be one of the more even match-ups among the play-offs. Both sides come in fairly evenly matched and will play similar styles. Paul Put often sets his team up to defend deeply, then relies on the panache and flair of his front four to score a few goals. Kabore pulls the strings, Pitroipa bedazzles, Nakoulma scores important goals, and Aristide Bancé fulfills souls. Put’s flat-back four is particularly distinct: They are big, they win headers and they kick your shins. It’s hard not to speak in absolutes when describing the Black Stallions; nuance gives way to passion. I mean, is it not pointless to attempt to temper the legend that is Aristide Bancé? Case in point. The Algerians employ a particular strategy when playing away from home. In the last two matches, Coach Vahid has deployed Carl Medjani, a centre-half, in midfield to win aerial duels and break up attacks. The towering Essaid Belkalem then partners Madjid Bougherra in the heart of defence. The Slimani and Soudani duo is relied on to score from set-pieces and quick counter attacks. Les Fennecs will have to be careful to not concede early, as Burkina Faso have won their last three matches with an impossible scoreline of 1-0. So as both sides play two deep defensive blocks with pacy peripheries, we may witness a neutralizing encounter. Algeria will look to come away from Ouagadougou with a result. A win would be ideal, but most would take a scoring draw back to Blida. Any win would do for the African Cup finalists.